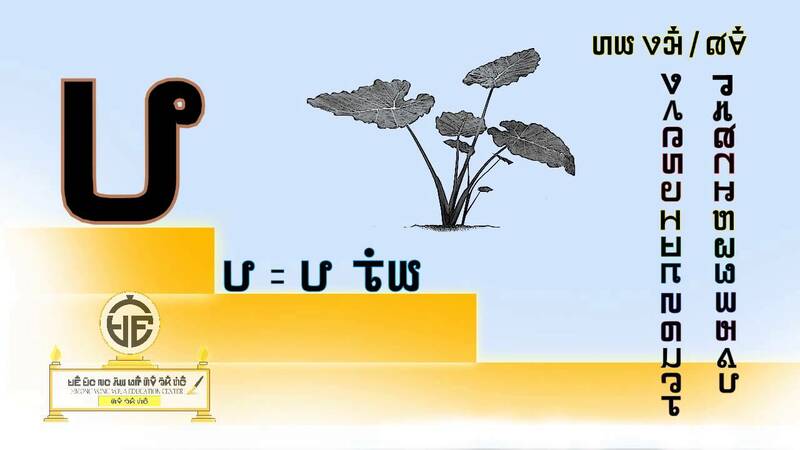 Here’s a sign of how potent writing is, how important and inspiring and threatening it can be to create an alphabet: at least one person has been executed for creating a writing system for his people. Not in some colonial insurrection in, say, South America five hundred years ago, or in Africa in the nineteenth century, but in 1971. The Hmong people have the misfortune to be a beleaguered minority in almost every country in Southeast Asia and the neighboring portion of China. In every case, two factors worked against them: they had no homeland, and they had no written language. 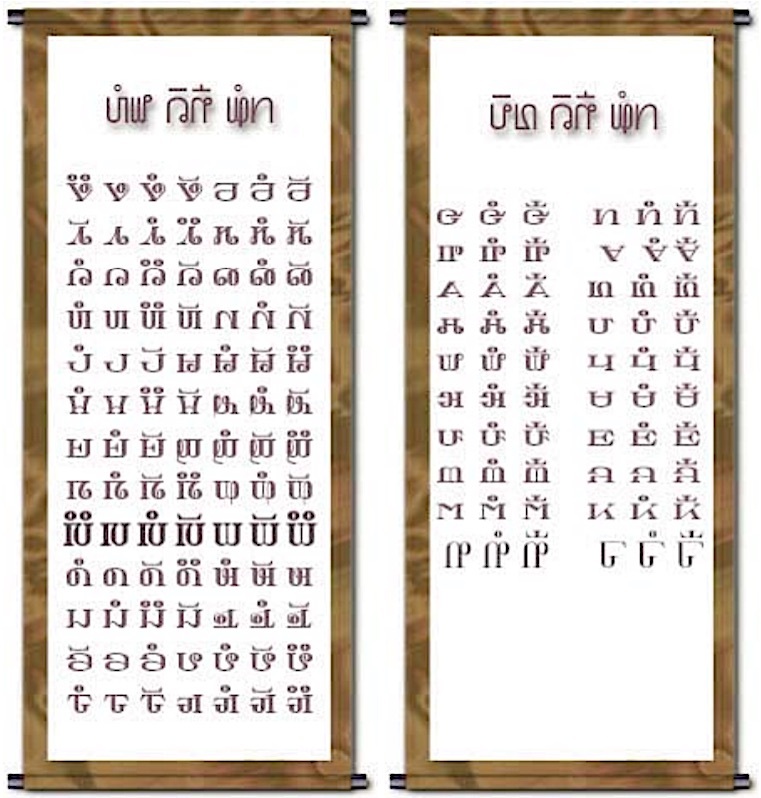 In the early 1950s, Christian missionaries led by William Smalley created the Romanized Popular Alphabet, based on Latin letters, to be used in religious education, but for many Hmong it was not a product of their own history nor a satisfactory expression of their cultural identity. In 1959, an unlettered Hmong farmer and basket maker named Shong Lue Yang announced that he had been inspired by God in a series of visions to create a written language for the Hmong, and, like Sequoyah, set about converting first himself and then his people from non-literacy to literacy. The effect of his invention was rapid and radical. Almost at once he took on a messianic status for the Hmong: his followers called him “Mother of Writing,” and looked to him for ethical and religious teaching and advice, and even predictions of the future. At the time he was living in Vietnam, and the nationalist feelings he was stirring up in the Hmong minority made the government suspect he was a CIA provocateur — hardly an unreasonable suspicion, as the CIA was currently recruiting and training Hmong to fight against the Viet Cong. His supporters helped him avoid arrest, and smuggled him into Laos, but the complex and interrelated wars throughout the region and the outsider status of the Hmong meant that wherever he went, he was accused by both sides of aiding the other. Besides, no government in the region had any sympathy for a nationalist Hmong movement. 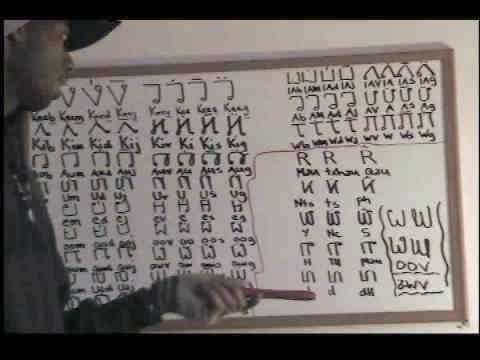 At first Shong created a script with a different glyph for every distinct sound in the Hmong language — 151 letters in all — but over the next decade, sometimes working from prison, he introduced increasingly sophisticated and streamlined versions of Pahauh, which had come to be seen by many Hmong as sacred. Like Sequoyah, he borrowed shapes of letters he found, even if he couldn’t read them. 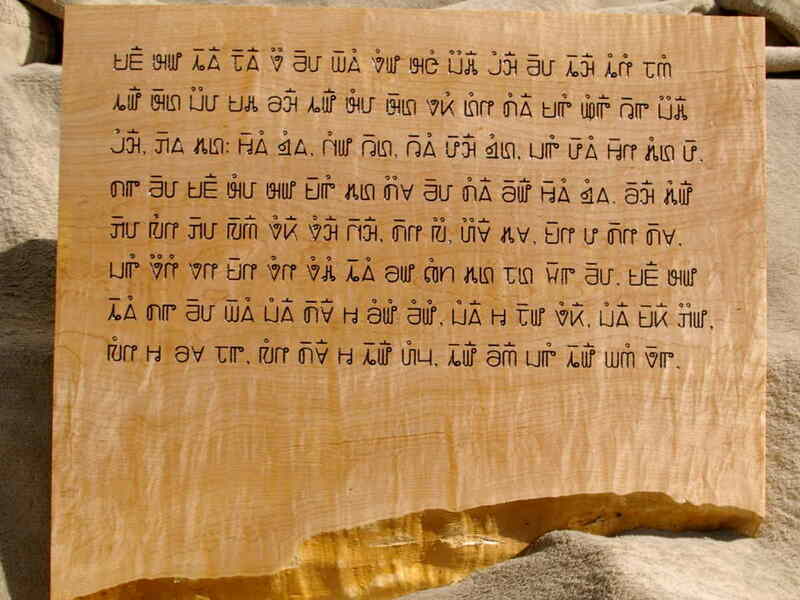 Some of them probably were based on letters from Lao, and from the Roman alphabet. Others seem to have been borrowed from two missionary scripts, one created around 1915 by James Ostram Fraser (based very much on the Roman alphabet, though with some of the letters disconcertingly upside-down) and the other devised in 1905 by Samuel Pollard (looking very much like the characters on an eye chart). By 1971, his religious and cultural influence among the Hmong had grown simply too strong for the Laotian government’s liking, and soldiers were sent to assassinate him. After his death, Pahauh Hmong was taken to northern Thailand refugee camps, and then moved with waves of immigrants to Minnesota and California in the United States, and to Australia, undergoing various developments as it went. As with any cultural diaspora, the scattering of the Hmong reduces each surviving pocket closer to the point where it falls below the critical mass needed to maintain the regular use of their ancestral language, and other traditions that embody collective memory, and collective identity. Wherever there is a strong community, efforts are being made to preserve their culture, but history and the sad experience of many fragmented cultures suggest they are like a world map with lights dotted here and there, each one slowly growing dimmer.